If you like fresh bread every day then, like me, you’ll probably find that your life is changed by the owning of a good bread maker that churns out yummy loaves every day! I’ve tried a few in my time and come to the conclusion that they aren’t all the same and I wish I’d looked in to it more before buying my first one – here’s my tips for getting yourself the best bread maker on the market so that you’ll be able to facilitate your bread addiction to the max! These are my top UK suggestions for 2018, but if you’re coming from another place just click on the images to see if they are available where you are. *not got time to read the whole article? Here’s a sneak at my top choice. Bread makers have one job don’t they? To make a lovely loaf of bread that won’t send you out to the shop or bakers! However not all makes and models are equal and it’s not always easy to throw the ingredients in and get a good loaf out. Size – does it do loaves that will be large or small enough for your household? Dried fruit and nut dispenser – if you want to try fancier fruit loaves these can be essential to getting it to work. Finished loaf – finally, is the finished loaf something that is edible? I wish I was joking but I have had electric bread makers in the past that couldn’t do this! Check reviews to see what people make of the bread once baked. 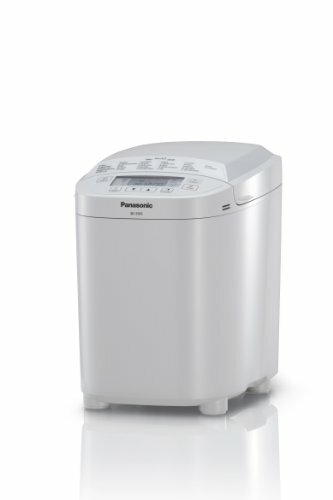 Panasonic have quite a few bread makers on the market and I’ll be the first to admit that they aren’t the cheapest out there. It can be a bit of a leap of faith to invest in it when there are other cheaper models but believe me they really are worth it. For 2017 the SD-ZB2502BXC model is a really good option and I love the look of this one which is incredibly modern with it’s sleek stainless steel outer casing. It would look at home in any kitchen no matter your decor. This bread maker does everything that you might possibly want it to do. It bakes bread, obviously, it can handle specialty loaves and gluten free recipes and it can also do jam! One of the features that I specifically like in this one is that it not only has a nut and fruit dispenser, but it also has a yeast dispenser. If you’ve ever added yeast to mixes and found it got too close to the salt you’ll know it can kill it and ruin your loaf. This is a good way round that happening, so great if you’re setting it off to work on a timer. the control panel is easy to use too. proven to make really great loaves that you’ll want to make daily! Even wholemeal! rapid bake option – which still makes a nice loaf! Get this one if… you want to bake bread daily and never get fed up of it! My top bread maker choice! 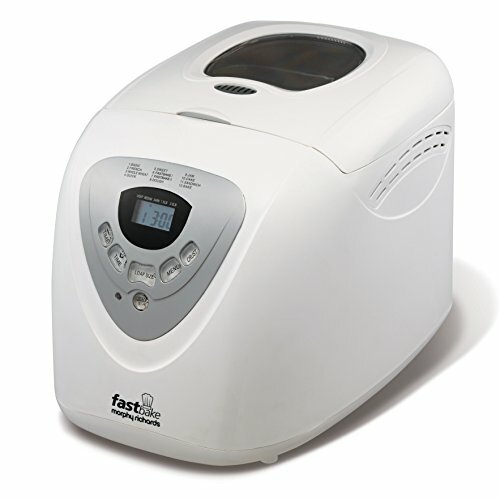 The Morphy Richards Fastbake bread maker is one of the most popular and best selling bread makers at the moment. There’s good reason for this – the price. It’s probably one of the best cheap bread makers and budget enough that you can really take a chance on it and still know that it comes from a reputable company. You get quite a good amount of options with this product too – there are 3 loaf size options, 1lb, 1.5lb and 2lb which will make it suitable for any size of household. You get a recipe book with lots of ideas too but some of them aren’t so great (yes the fastbake loaf I’m looking at you). As always, a bit of experimenting with the recipes is worthwhile. Another modern and stylish bread maker is this one from Andrew James with a lovely sleek and brushed stainless steel effect. It’s really nice enough to be left out on the work surface constantly which means it will get used! Lots of bread makers only have the fruit and nut dispensers on their more expensive options so it’s nice to see that this one has it at a really inexpensive price point. It also comes with a 13 hour timer and a 60 minute keep warm feature which is good if you aren’t going to be around when it finishes baking. 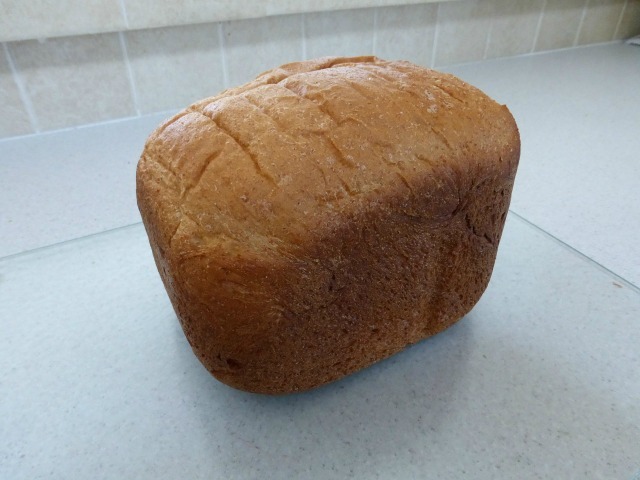 Unfortunately I don’t think it really compares as well to the more expensive bread makers when it comes to the finished loaf, often requiring a bit of tweaking to get good results. For the price it’s pretty good though and plenty of other people agree! 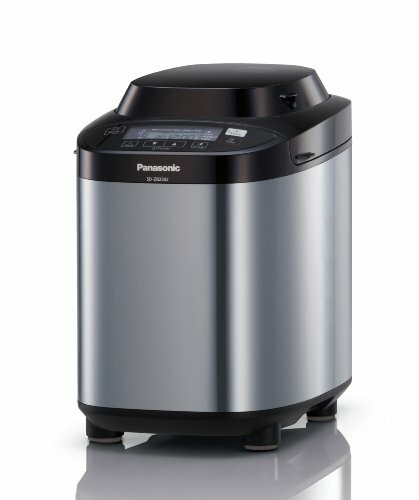 Am I cheating by adding in another Panasonic to my best bread machine guide? Possibly, but I do believe strongly that they are well worth the money and if you can stretch to even their most basic model, like this one, you won’t be disappointed. So what’s different about this model to the one I mentioned previously? First of all is the look – it looks much more basic and less stylish than the stainless steel. Now that might not mean much to you, but others will prefer the looks of the other. You also don’t get a dispenser for your nuts, seeds and fruit and you certainly don’t get the yeast dispenser either. Again, these aren’t big worries, especially if you don’t think you’ll be making fancier loaves. You do get all lots of options for baking such as the crust colour and size as before and you still come out with a superior loaf that will rival the bakery! If cost is an issue but you’re tempted then you’ll not go wrong with the basic model (and if you want to upgrade you’ll be able to recoup your costs by selling it on!). 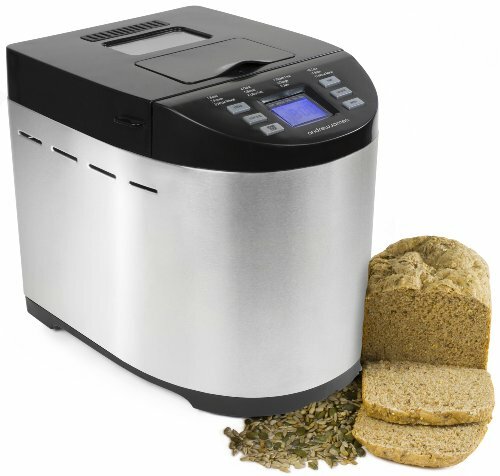 This best bread maker guide is a work in progress – there will be more reviews added shortly, but I hope you find the included reviews helpful! Just wanted to tell you I bought the Panasonic Bread Baker with the nut and yeast dispenser from eBay – used but in perfect condition. I absolutely love it and am working my way through most of the recipes. it would have been helpful to have a proper bound instruction/recipe book instead of having to download and print it from the Internet but that gripe aside it is a superb piece of kit. if it went wrong tomorrow I would go out and buy a new one I am that impressed with it. Fresh loaves whenever you want them and as there are only two of us we get through the medium size every two days which means we always have fresh bread. Just wanted to point out that the Morphy Richards Fastbake has a flaw. It is a great machine at a good price, as long as you don’t mind having to purchase new bowls. What happens is the bowl leaks under the paddle and eventually rusts away the connector underneath the bowl. At £22.00 including postage and only 6 months warranty at a time and two weeks for delivery, it makes it an expensive consumable. It seems that it is a very common issue. Why don’t they upgrade this element and charge more for the machine?